College and university students represent the next generation of water sector professionals and AWWA members. The CA-NV Section is committed to fostering strong ties with students interested in water careers, to encourage life-long membership and involvement with the association. The Young Professionals (YP) Committee of the AWWA CA-NV Section invites all undergraduate and graduate students to submit entries for our annual Poster Competition at the 2019 CA-NV Section Spring Conference held on March 25-28 at the Sacramento Convention Center. This is an excellent way to showcase university research, senior projects, thesis work, or classroom projects with hundreds of professionals. AWWA student memberships and the participation of student members in a Section-sponsored student chapter offer numerous benefits to both the individual student member and the Section. Student members help build and maintain the vibrancy of the Association. In turn, the process of creating and managing a chapter allows students to develop important leadership skills that can be used for many years to come. Connections created in a university club setting often lead to relationships that will help build professional networks. The guidance and mentoring provided by the local AWWA Section can mean the difference in a student getting a job after college. Students are eligible to receive a discounted AWWA membership rate. Student membership is $20 for students enrolled in a minimum of nine credit hours (or the equivalent) of accredited classes. CA-NV AWWA provides up to $1,500 per academic year for each student chapter to attend spring and fall conference, support guest speakers, refreshments for chapter meetings, and other activities. To receive more information regarding these funds, please email Armando Apodaca, Member & Administrative Services Manager, or by telephone at 909-291-2119. CA-NV AWWA provides an opportunity for student chapters to be recognized at the spring and fall conference for their accomplishments. Participate in the certificate of recognition program to distinguish your chapter’s hard work and add something noteworthy to the student's record for career building. The Section will recognize your Chapter at both the fall and spring conference. CA-NV AWWA will promote student chapters by posting information on the CA-NV AWWA website and creating links back to chapter websites. Send chapter Web links to Communications Specialist Daniela Toro for inclusion on the CA-NV AWWA Web page. For more information about chapters contact Armando Apodaca, Member & Administrative Services Manager. Organize talks by students or faculty. Sponsor lectures by guest speakers. Host lunch discussions on the training students need for careers in water. Organize team projects such as undergraduate competitions. Host social functions (lunches, dinners, movie nights, picnics). Tours of water treatment facilities, utilities, etc. Field trips to CA-NV AWWA conferences and events. Host interdisciplinary activities with other departments on campus. If you would like CA-NV AWWA’s assistance in planning events, securing speakers or with any event, please email Armando Apodaca, Member & Administrative Services Manager. 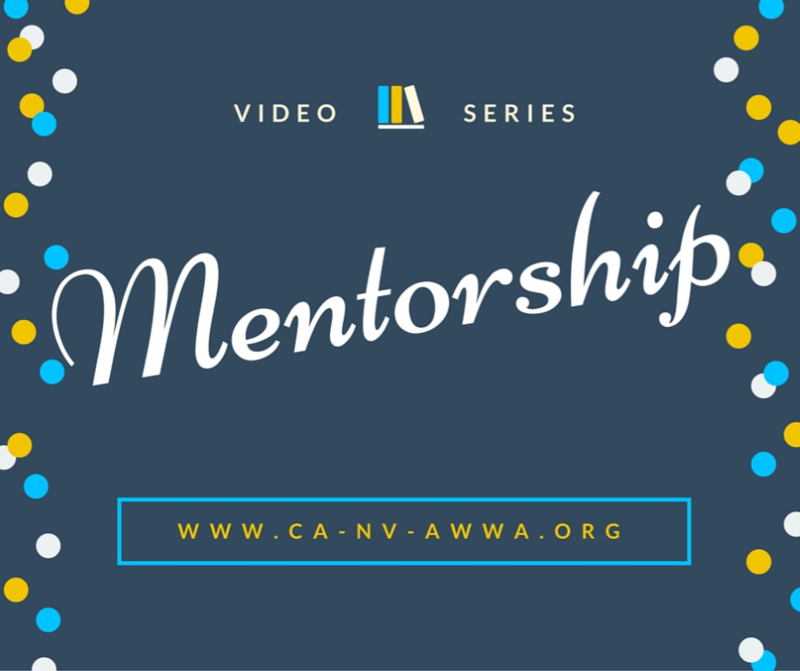 CA-NV AWWA consists of a large network of professionals that are willing to help students and donate their time. Each CA-NV AWWA Student Chapter will receive a maximum of $1,500 per academic year for each student chapter to attend spring and fall conference, support guest speakers, refreshments for chapter meetings, and other activities. The Section manages the accounting of these funds. Allowable expenses include travel to CA-NV AWWA conference, food and beverage at chapter meetings, copying and printing promotional information on the chapter and its activities, field trips or tours, etc. Non allowable expenses please note that Chapter funds cannot be used to attend meetings organized by other professional societies. Fundraising includes social affairs such as Silent Auctions, Raffles for donated items, and/or 50/50 drawings. The CA-NV Section will allow two students chapters to hold a fundraising event at each conference on a rotating basis. Students are also able to organize private fundraising events on school grounds or at a place of their choosing. The decision to create a student chapter rests with the CA-NV Section. The Section must determine whether it has adequate incentive and resources to initiate and maintain a student chapter. AWWA suggests that a student chapter have at least five members. To qualify as a student member, a person must be enrolled in a minimum of nine credit hours (or the equivalent) of accredited classes. Part-time graduate students are also eligible. Each chapter should have a faculty or staff advisor. AWWA recommends the advisor work closely with the local Section to manage chapter activities and goals. The chapter may consider adopting bylaws that outline the chapter’s operation. (see AWWA template). Charter petition (see AWWA template). Volunteer job descriptions (Chair, Secretary) (see AWWA template). Suggested roles and responsibilities of faculty advisor and chapter mentor (see AWWA template). A copy of the college/university’s regulations for student organizations. A list of the officers for the college chapter. The name of the student chapter. Section leadership will discuss the creation of student chapters at a board meeting(s). Many factors will affect the decision. For example, is there sufficient volunteer leadership support at the Section level to support the student chapter? What are the financial repercussions? Is the Section willing to subsidize the chapter? Would a change in the bylaws be necessary? If there is consensus to move forward, the responsibility for the student chapter could be assigned to an appropriate committee such as young professionals or membership. The educational institution will typically have certain rules and processes for the formation of a student chapter. Common requirements are a sponsor, a minimum number of participating students, a charter or document authorizing chapter status, and a set of governing documents. Many college/university campuses have budgets set aside to help with start-up costs, dues, or other expenses for college-approved clubs or chapters. It’s a good idea to look into this as a possible resource to help support any start-up expenses. After the committee has established that a student chapter is viable, it should review the school’s formal requirements for creating a chapter. If you are interested in starting a student chapter at your college or university, contact Armando Apodaca, Member & Administrative Services Manager. Click on the school logo to visit their Facebook page.